Finally! No more mourning the lack of sunshine. No more counting the days until the predicted last frost. Some of us nurse last year’s tomato plants well into February just so we can boast that we’ve eaten a home grown tomato in the middle of winter. Are we nuts or what?! Fact is, we’re not alone…Even before Spring officially arrives here, we are salivating at the tomato seedlings that are showing up in the local nurseries. Our hearts beat a little quicker. Our smiles are brighter at the sight of a few itty bitty hybrid tomatoes. Okay…we’ll plant those, just because we can. But here we are, right in the middle of Spring. No more threat of frost and we are digging up our gardens and planting with great gusto. I couldn’t be happier! We held our “Yes, You Can Grow Tomatoes” class with 25 people on the rsvp list. There was rain predicted for that morning so we emptied the furniture from our living room and set it up as the classroom. Everyone seemed to be comfortable. Who minds a little crowding when we’re talking about one of our very favorite subjects? After about an hour and a half of discussion on soil preparation, watering, reading labels and questions we all headed out to the vegetable garden. Our attendees wanted to see a real garden, at a real home. We did not disappoint. Crossing the back lawn, passing the rose bushes swollen with buds, through the break in the wall and there it is…within a white picket fence are the first two beds. 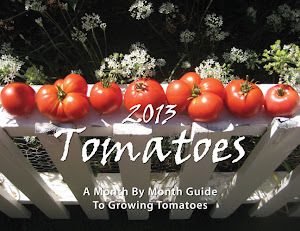 The soil had been prepared and I had planted just three tomatoes – I couldn’t help myself. Newly prepared soil is one of my favorite things. It’s soft and silky, rich and healthy and full of life. I can’t help but take off my shoes and work in it barefoot. It’s like stepping on clouds. The three tomatoes were planted, staked and caged even though they were still quite small. They were happy. The artichokes were at their best. Strong and upright with two big artichokes just about ready for cutting and many more small ones on their way to the dinner table. Sugar snap peas and Blue Lake green beans were beginning to climb their ladders. The beets were large and leafy and begging to be lifted from the soil. The three new raised beds were empty but for a few broccoli plants with small bunches of flowerets promising to grow. What a difference a couple of weeks make. It turned out to be a glorious morning. Everyone seemed happy with the possibility that they, too, could successfully grow as many and whichever tomatoes their space and their yards would allow. Now, here we are, two weeks later. It’s already time to feed the first three tomatoes that I put in. Those planted first have already grown several inches. I have to believe that the growth is just as strong under ground. I go to a lot of trouble to make sure my plants have the strongest root systems possible. Looks like it’s working. The beds are full now. I still have several more seedlings to plant. I decided to allow more space between the plants this year so I didn’t get as many in the ground as before. I think there were 65 last year. Most of the cherry varieties are in containers. Still, I’ll have to create another raised bed for the larger varieties yet to be planted. The climate here in the San Fernando Valley is almost perfect for growing tomatoes. We do get some extreme heat that can be a bit problematic, but other than that, it’s heavenly. I find no greater peace and tranquility than when I venture out to the garden. The bees work busily. They don’t seem to mind my walking right through them in the overgrown rosemary plant. I thank them for being there. Yes, out loud. Birds are singing and lizards are chasing each other around tree trunks or walls. Baby hawks are learning to leave their nests with Mom just above me watching closely. It’s truly magical. What a blessing to have this haven just outside my kitchen door. I hope you’ll share your thoughts about gardening whether you’re across the country or right next door in the West San Fernando Valley. 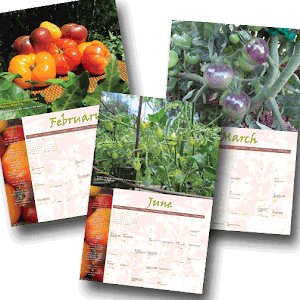 I invite you to share your gardening experiences with my readers. The door’s always open. Gardening makes my heart happy.